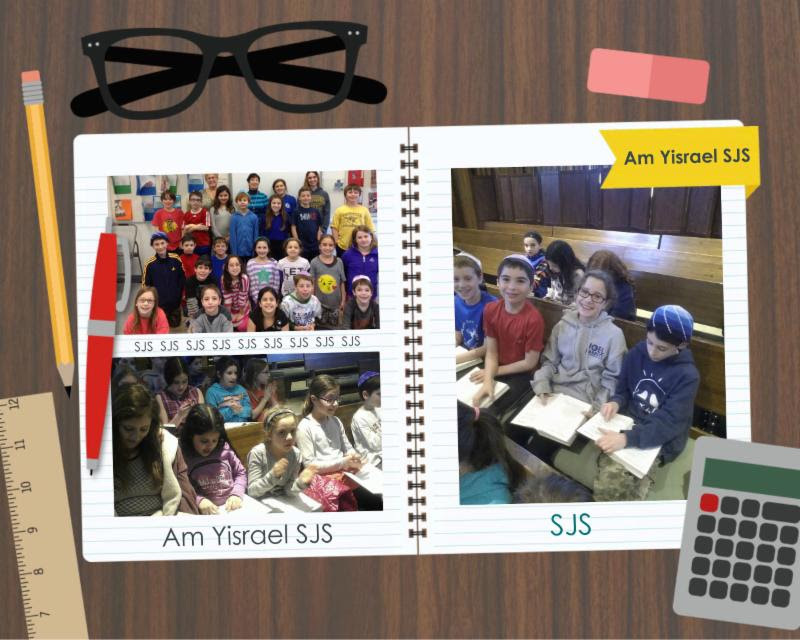 It has been so invigorating co-facilitating brand new, interactive programs at Am Yisrael these past few weeks. Purim’s “Megillah Madness”, “Passover University” and the Prozdor’s “If You Were In Their Shoes” have all received rave reviews. A couple of housekeeping pieces: 1) The purple/blue team won the Purim championship; 2) Yehuda Egg Matzah won the matzah taste testing competition; 3) Please give the Yemenite Charoset recipe another try! There was one key incorrect ingredient at our program and by using the correct ingredients, you will absolutely love this Charoset! Here’s what you need to serve 16 people the Yemenite Charoset: 10 dates, 7 dried figs, 1/5 tbsp. of sesame seeds, 3/4 tsp. of ginger, a dash of coriander, 1/4 cup of grape juice or dry red wine and matzo meal for thickening if necessary. All you have to do is chop the fruit and chili together, add seasoning and wine and matzo meal if necessary. Enjoy! Please make sure that your calendars are marked for Wednesday, March 25th being the final day of SJS classes until SJS resumes on Wednesday, April 8th. 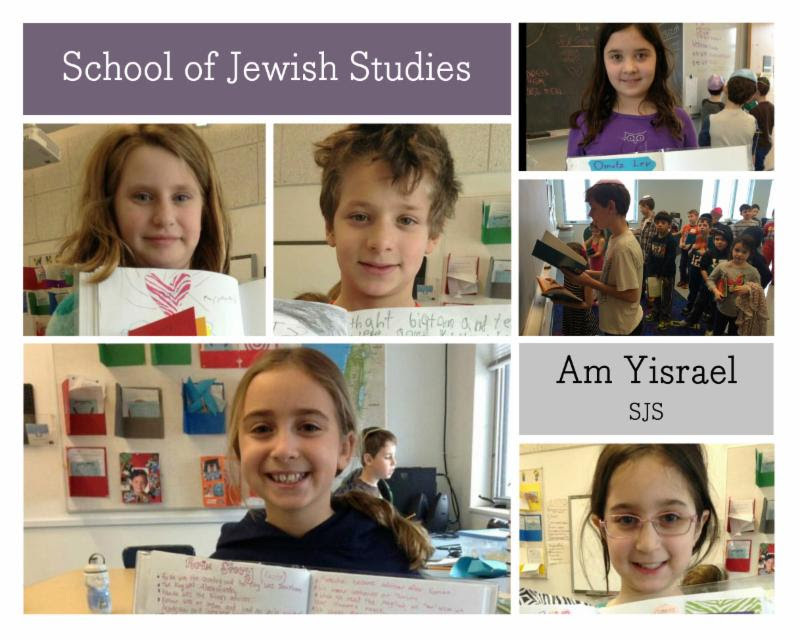 As you engage with your children about their Jewish Studies, please be sure to check out the Class Home pages and feel free to forward this Limmud E-Newsletter to prospective members who are looking for a synagogue to call home. Hebrew Practice instructions can be found here, as we continue assessing our students on their progress. Mazal Tov to Markus Tam, his parents Sheila Fox Tam and Aaron Tam, his sisters Gillian and Tatum and their entire family, as Markus will be called to the Torah as a Bar Mitzvah this Shabbat. Finally, we look forward to seeing the Bet and Gimel classes tonight as they will be on the bimah with our Clergy helping to lead Shabbat services. Shabbat Shalom! This weekend we have SMFP, a brand new program called Passover University and the Vav Family Education Brunch. I love these kinds of weekends because the synagogue will be filled with “The Team”. We love partnering with the parents of our students to create learning at its best. We thank you in advance for making this a special Am Yisrael weekend and filling our buildings with Jewish learning, ruach (spirit) and nachas (pride in our future generations). As you engage with your children about their Jewish Studies, please be sure to check out the Class Home pages this week, following a two week hiatus during my paternity leave. Hebrew Practice instructions can be found here, as we continue assessing our students on their progress. Mazal Tov in advance to our SMFP Torah Readers and their families: David Bodansky (Heh), Deborah Bodansky (Prozdor), Jacob Brodsky (Vav), Max Gerber (Pardes), Ari Harkavy (Heh), Levi Jagher (Aleph), Zoe Jagher (Dalet), Helen Lerner (Heh), Kenny Rolnick (Gimel), Liana Rosen (Gimel), Jeremy Schoen (Gimel), Jonathan Schoen (Heh), Etai Weisberg (Dalet) and Noam Weisberg (Bet). Shabbat Shalom! 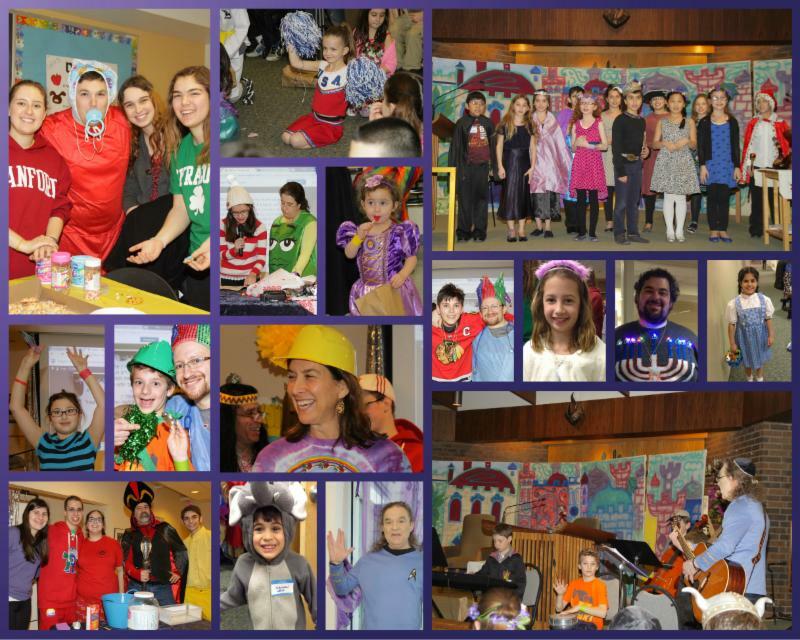 Thank you to everyone who helped to make Purim 5775 a major success! From awesome costumes, to a friendly “Color Wars” competition, to a play conducted 100% in Hebrew, to Megillah Madness, to pizza and lots of hamentashen, we celebrated in the spirit of the holiday. The collage above was made possible by Jan Loew and Trudy Isbitz Brodsky. Thank you for the fantastic pictures to help us capture Purim! Here is a link to these pictures to see them separately: https://www.dropbox.com/sh/vusl9qub6tmcsfa/AACb6_58PVB9tqVrritSE0vXa?dl=0. Now back to our regularly scheduled programming, which will be highlighted below. In the meantime, please be sure to move your clocks ahead by one hour on Saturday night so that we all arrive on time. Shabbat Shalom!